Highlighted in this article are recommended workarounds to deal with an issue with Samsung Galaxy S5, in which the user cannot make or receive international calls on their phone. In respond to this concern, we come up with this article that highlights recommended workarounds to deal with this issue. If you too are having some trouble making or receiving international calls with your Galaxy S5 handset, then you may refer to this content and give the following methods a try. First thing we suggest if you cannot make international calls on your device is to verify the call settings and check whether or not the option for Outgoing international call lock is enabled. Follow these steps to get to this settings on your phone. 1. Touch the Phone icon on the Home screen. 2. Touch the Menu icon represented by the three vertical dots sign, located on the upper-right corner of the screen. 3. Now select Settings from the list of sub-menu items. 4. Touch Call under Settings options. 5. Scroll to and touch International call settings. This is where you can view and/or manage incoming and outgoing international call settings on your phone. 6. Under International call settings, verify if the Outgoing international call lock feature has been enabled or disabled. When this feature is enabled, International Call Sending is restricted, therefore you cannot make international calls with your device. Meanwhile, if Incoming international call lock feature is enabled, International call reception is restricted. This means you will not be able to receive international calls with your device. To ensure these settings are not causing the problem, be sure to disable the abovementioned international call lock features on your device beforehand. Ensure you do not to put a check on the box next to Outgoing international call lock for you to make international calls. 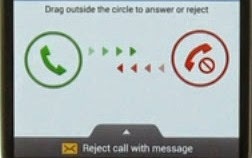 Do the same on the option for Incoming international call lock. It has to be unchecked in order to receive incoming international calls on your device. If problem with the reception or sending of international calls persists even after verifying your phone's international call settings are properly configured, then we suggest contacting your phone carrier and verify with them if you have registered an add-on service to block international calls. Hope this has shed some lights on your end.